DETROIT — Organizers say time is running out to take advantage of free registration to attend the STEM Career Showcase, technology exhibitions and keynotes at the Technology In Motion Detroit event. Register at http://TIMDetroit.com/STEM to receive a free three-day pass to the event, being held at Cobo Center in Detroit. * 6 p.m.: STEM Students; Are they prepared for STEM careers? Panels will include representatives from Ford Motor Co., the Birmingham schools, Oakland University, Education Planning Resources, Workforce Intelligence Network, Consumers Energy, Mobile Technology Association of Michigan, Oakland Community College, Lawrence Technological University, Michigan Science Center, Society of Automotive Engineers, University of Michigan, ardentCause, New Shore LLC, Sargon Partners, GTB, Moveable Bytes, GE, Strategic Staffing Solutions, Coretek Services, Michigan Afterschool Partnership, Project Lead the Way, STEM.org, Great Lakes Bay Regional STEM Eco-system, Amy Cell Talent, Robotic Intelligence Software, RIIS and NHacks. Exhibitors in the STEM Village will be offering interactive STEM exhibits, training and career information, and will be available to answer questions from students, parents and educators. Exhibitors include Baker College, the Boy Scouts of America, Consumers Energy, Coretek Services, DASI Solutions, Eastern Michigan University College of Technology, Education Planning Resources, Girl Scouts of Southeast Michigan, Kettering University, Macomb Community College, Michigan Afterschool Partnership, Michigan Robotics Institute, Michigan Science Center, Michigan STEM Partnership, MI-Light, Mobile Technology Association of Michigan, New Tech Central, Oakland Community College, Oakland University, Project Lead the Way, SAE International, Walsh College, Washtenaw Community College, and the Wayne State University C2 Pipeline. Produced and presented by the Mobile Technology Association of Michigan (MTAM) and the Michigan STEM Partnership, the STEM Career Showcase is designed to focus on increasing awareness about STEM careers, with a goal of increasing student STEM education participation and student pursuit of STEM careers. 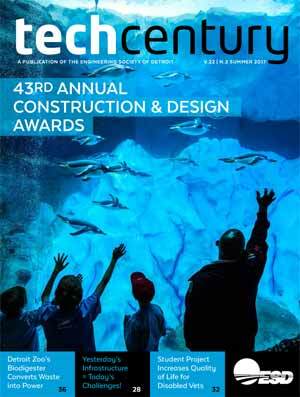 The event also seeks to provide information to parents, who often have substantial influence on their child’s education and early career choices, and educators to enable them to understand the opportunities available to students with STEM education due to substantial business and industry demand for STEM talent. The event will bring together those currently working in STEM careers, along with companies who utilize STEM professionals, with students, parents and educators, and will enable sharing of information through the STEM Village, expert presentations, panel discussions and hands-on experiences. Sponsors for the STEM event include the Michigan Afterschool Partnership, Consumers Energy, Oakland Community College, Michigan Film & Digital Media Office, Washtenaw Community College, and Henry Ford College. The STEM Career Showcase is part of the larger Technology in Motion (TIM) Detroit event, a three-day event co-produced by Crain Communications and MSX International, which will explore the intersection of the automotive industry and technology, highlighting the rapidly-growing interest in connectivity, autonomy, mobility and the shared economy. It will highlight the future of mobility by showcasing the most advanced technology for the next generation of vehicles. TIM Detroit will also include a Hackathon, a startup pitch competition, product exhibitions, presentations and panel discussions featuring leading innovators in transportation and technology, as well as a three-day offsite feature, Detroit Moves, Sept. 7-9 at Spirit Plaza in Downtown Detroit (details available at http://timdetroit.com/detroit-moves/). 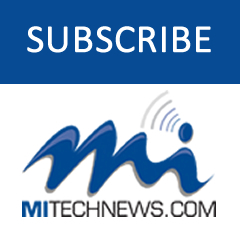 MTAM is a non-profit trade association for connected technologies in Michigan, the firms who provide them, and the firms – in all industries – who use them. More at http://www.GoMobileMichigan.org. The Michigan STEM Partnership, a 501c3 non-profit, promotes the impact of STEM careers on economic development across the State of Michigan, and strives to influence the career decisions of students as they prepare for their future. More at http://www.MISTEMPartnership.com. 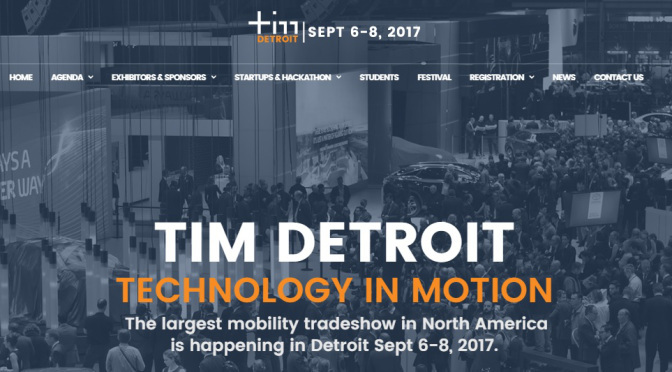 Technology in Motion (TIM) Detroit is the largest mobility trade show in North America and is taking place Sept. 6-8 at Cobo Center in Detroit. The event will bring together automakers, auto suppliers and the tech community. Technological advancements in autonomous and electric vehicles, connected cars, shared economy and digital consumer experiences are just a few of the areas that will be featured. More at http://www.TIMDetroit.com.